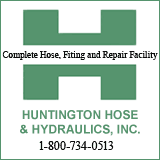 HUNTINGTON, W.Va. – The 2018-19 season has been one full of offensive records, but Tuesday night's CIT game at the Henderson Center belonged to the Marshall defense. Jarrod West, a sophomore guard from Clarksburg, West Virginia, recorded three steals to become the school's single season record-holder with 76. Jon Elmore, the Thundering Herd's guard who has made breaking records seem routine, had five steals for the second consecutive game. Jannson Williams, a sophomore forward, swatted four shots to move into fourth place on the program's single season blocked shots list with 66. Overall, the Marshall men's basketball team scored 15 points off turnovers in a 17-point win, defeating visiting Presbyterian, 83-66, to advance to next week's CIT semifinals. The CIT stands for CollegeInsiders.com Tournament, which this season features 26 teams. "I thought we clamped down in the second half," MU coach Dan D'Antoni said. "We got the usual good stuff out of our better players. We want to keep advancing and moving forward." The win is Marshall's eighth in nine games, and moves the Herd to next Tuesday's semifinal, also at the Henderson Center. The opponent has yet to be determined. When that game tips, Marshall's players will be able to add to a season of impressive defensive numbers. This Herd team ranks in the top three in school history in blocked shots and steals. West's record of 76 steals breaks the mark held by two players: Sidney Coles in 1995-96; and Jeff Guthrie in 1984-85. Elmore now has 64 steals this season and fellow senior guard C.J. Burks has 62. Prior to this season, only three players – Coles (twice), Guthrie and Tyrone Phillips – had ever eclipsed 60 steals in a single season. West, Elmore and Burks have all done it within the same season. "When we wanted to lock them down, we locked them down," D'Antoni said. The Herd (21-14) had 10 steals and forced 15 turnovers, turning a tight game into a runaway win. Marshall held a 1-point advantage, 57-56, with 10:44 left. The Herd outscored the Blue Hose 26-10 the rest of the way. "I thought we had great energy," Elmore said. "Defensively, we really locked down in the second half and limited them and took them out of what they wanted to do." Presbyterian entered Tuesday's contest among the best 3-point shooting teams in Division I. The Blue Hose ranked No. 7 in 3-pointers made and No. 6 in attempts, but struggled on 10-for-33 shooting (30.3 percent). "They didn't shoot the ball well, and that shows you that we played good defense because that's a good shooting ball club," D'Antoni said. Burks led the way with 20 points, eight assists and five rebounds. The assists tie a career high. Elmore had 16 points and seven rebounds. Senior guard Rondale Watson added 12 points, and sophomore forward Darius George added 10. Presbyterian shot 32.4 percent from the field and 26.3 percent from beyond the arc in the second half. "I thought we anticipated really well," Elmore said. "We played good 1-on-1 defense. They tried to go small on us and it's hard to go small on us because we're small anyways. That kind of played into our hands and we locked in defensively. We communicated really well on switches and jumped a lot of passing lanes. Anytime we play with energy like that and focus, I think we're pretty good on defense." 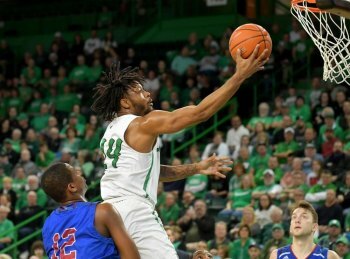 Tuesday's date – March 26 – is the latest in the season a Marshall men's basketball team has ever played a game. Elmore, who is already the Conference USA career leader in points and assists, is also the league's all-time leader in 3-pointers made. Elmore connected on a pair of early 3-pointers to move past Charlotte's Jobey Thomas, who had 346 3-pointers at Charlotte from 1999 to 2002. Elmore also cracked the top 25 in career rebounds at Marshall with 621. Elmore passed Tom Curry (620, 1984-88) to move onto another all-time list. Burks surpassed 600 points on the season, becoming the fifth player in school history with multiple 600-point season. The others: Elmore, Skip Henderson, John Taft and Russell Lee. West increased his career steals total to 133, which ties him with Taft for No. 11 on the school's career list. When Williams moved into fourth place on the single season blocks list, he passed Jean Francois Bro Grebe, who had 65 blocks during the 2006-07 season. Williams has 66 blocks this season. Only Hassan Whiteside (182, 2009-10), Ajdin Penava (134, 2017-18) and Omar Roland (101, 1989-90) have had more in a single season.